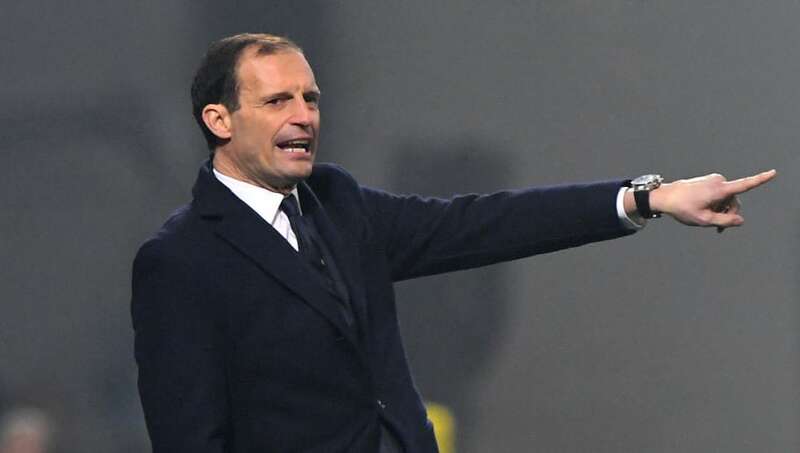 ​Massimiliano Allegri was full of praise for his Juventus side after they dispatched Sassuolo 3-0 on Sunday evening and commended a number of players after the victory. Goals from Sami Khedira, Cristiano Ronaldo and Emre Can extended Juventus's unbeaten league record and increased their lead at the top of Serie A to a seemingly insurmountable 11 points. It wasn't all plain sailing for ​Juventus and they had to rely on Wojciech Szczesny to bail them out early on, but Allegri was more than happy with the way I Bianconeri performed - especially as they were up against a side who have caused some of the league's front runners significant issues this season. "Sassuolo’s game is heavily based on their deep-lying midfielder circulating the ball,” Allegri explained, as per ​Juventus' club website. “They’re one of the teams with the most possession in their own half in the league. We had a risk early on that Szczesny dealt with, but after a quarter of an hour we started to play. "They were struggling to cope with Bernardeschi in the hole - he was playing well and they couldn’t read his passes. We didn’t concede and we created lots of chances." Allegri also had time to discuss the impact of substitutes ​Paulo Dybala, Rodrigo Bentancur and ​Can, all of whom played a significant role in securing the victory in the later stages of game. “Dybala did well when he came on, so did Can and Bentancur,” he declared.